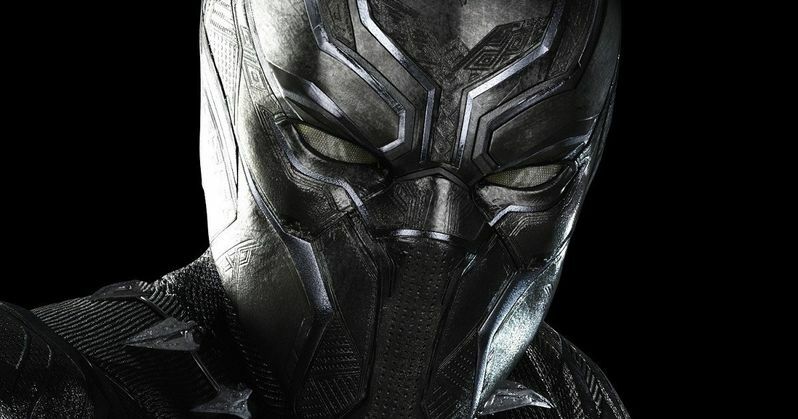 When the trailer for Captain America: Civil War arrived in November, we got our first official look at Black Panther (Chadwick Boseman) in action. This beloved character will make his Marvel Cinematic Universe debut in Captain America: Civil War, before starring in his stand alone Black Panther movie, which hits theaters on February 16, 2018. The movie was initially slated for release on November 3, 2017, but the studio later pushed it to early 2018, placing it right before Avengers: Infinity War Part I. Producer and Marvel Studios president Kevin Feige recently spoke to Empire (courtesy of Comic Book Movie), where he revealed that this movie is quite important in the MCU landscape, and that it ties into Avengers: Infinity War Part I. "This one is important. Not only do you get an unbelievable lead character, but you also get all of Wakanda which is a whole new setting and culture to explore. It's a big geo-political action adventure that focuses on the family and royal struggle of T'Challa in Wakanda, and what it means to be a king. T'Challa's story is very important to us as it links to the next Avengers films, which is why we brought it forward." As of now, Chadwick Boseman is the only cast member attached to star in Black Panther, but a rumor surfaced in April that the studio was seeking Ernie Hudson to play T'Challa's father, T'Chaka. Rumors have also surfaced that T'Chaka could either die in Captain America: Civil War, or pass on his throne of Wakanda to his son at some point in the movie, but that has not been confirmed. Of course, the producer wouldn't shed any light on how Black Panther leads into Avengers: Infinity War Part I quite yet, but hopefully we hear more about this connection soon. The studio hasn't confirmed a director for Black Panther yet, but a report from earlier this month claimed that Creed director Ryan Coogler was close to signing on to take the helm. Joe Robert Cole (Amber Lake) recently came aboard to write the screenplay, although it isn't known when principal photography may begin. Doctor Strange is currently in production, with Guardians of the Galaxy Vol. 2 commencing principal photography in early 2016 and Thor: Ragnarok eyeing a summer 2016 filming start in Australia. Kevin Feige also revealed that Black Panther will have a "primarily African-American cast," but he wouldn't shed any light about any of the supporting characters that may be featured. We also don't know for sure yet if Andy Serkis' Ulysses Klaue, who was introduced in this summer's Avengers: Age of Ultron, will return in Black Panther, but it certainly seems likely, given his ties to Wakanda. Are you excited that Black Panther will help set the table for Avengers: Infinity War Part I?